With spring on the horizon, we all have that visceral impulse to bring the great outdoors into our homes. 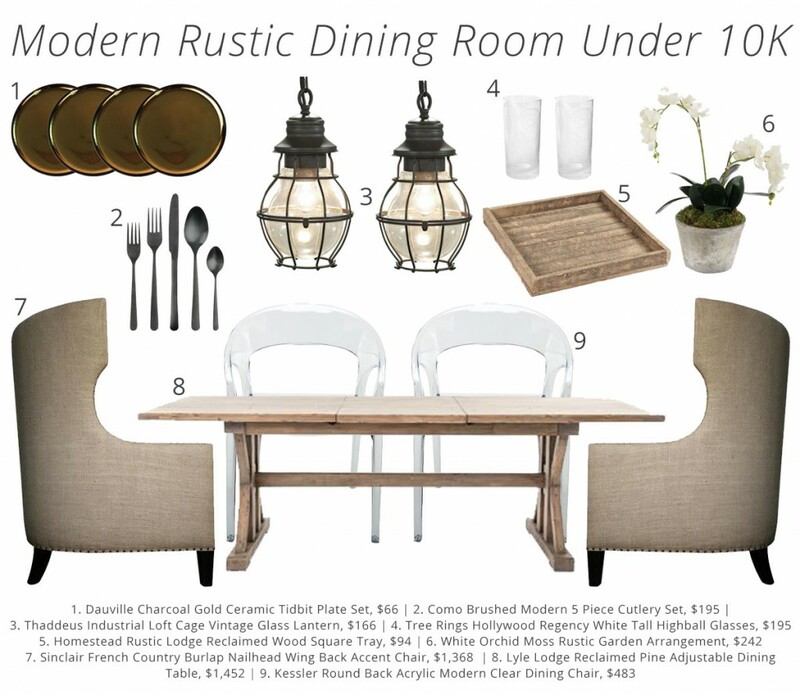 So it’s the perfect time to consider a rustic style dining room! Bringing natural materials and neutral tones into your dining area will create an organic and sustainable ambiance that’s perfect for the season, and the rustic style fosters intimacy and relaxation for all of your meals with family and friends. 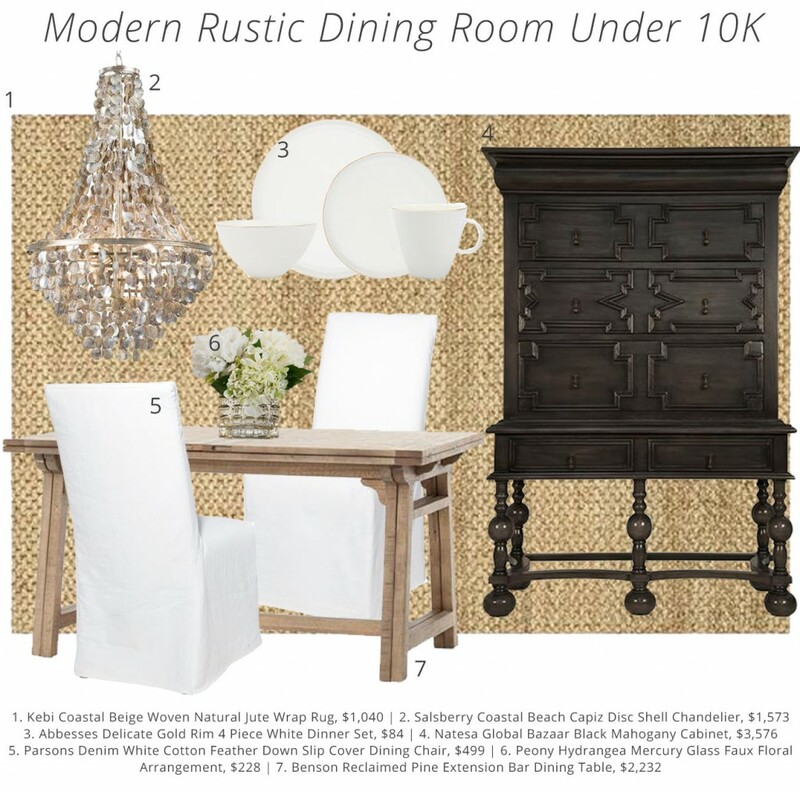 Today on the blog, we’ve put together three looks we love inspired by some of our favorite rustic dining rooms from Pinterest and Instagram. The best part? Each look totals to under 10K! Even if you’re not looking to redo you’re entire dining room, simply changing out your dining chairs or a lighting fixture can give your space a brand new look and feel. Shake off the winter blues, shop these looks below, and breathe fresh life into your home. The change will surely get your spring dinner guests buzzing! Our reclaimed pine Benson dining table grounds the rustic cottage dining room look above. By choosing simple slipcover dining chairs and a simple chandelier, the result is an elegant rustic dining room that’s inviting for the spring. It’s an easy way to refresh a space and provide your home that clean canvas look for the new season. The other reason to go simple? You can find simple and affordable pieces to refresh your look without breaking the bank. Pro tip: Mismatch your dining chairs to bring a modern touch to a rustic dining room. Splurge more on the end chairs for the head and foot of the table, and save money by opting for more affordable side dining chairs. 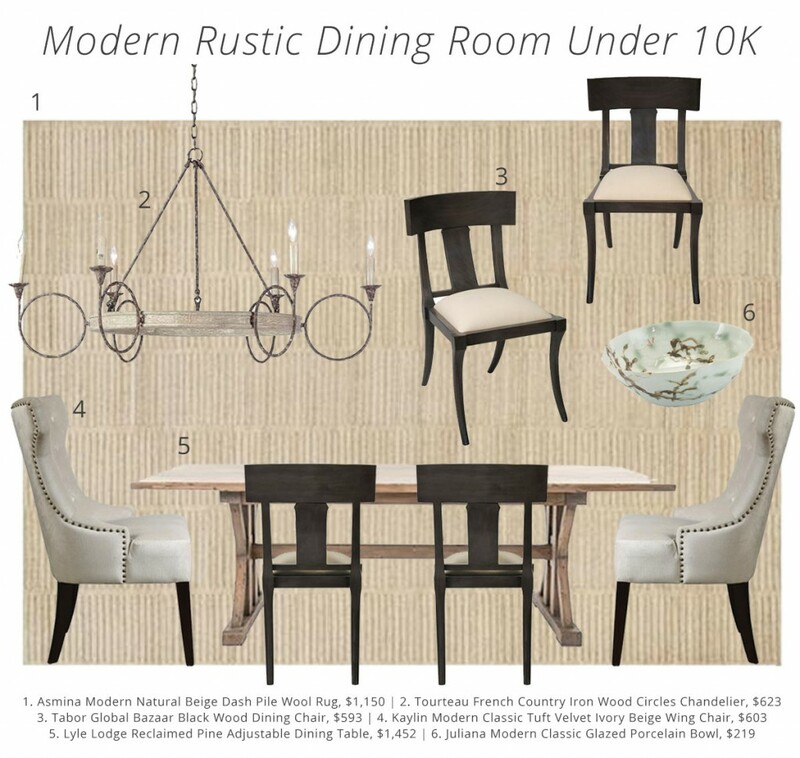 In the below designs, French Country cottage style chairs sit at the ends, while more modern selects, such as our Kessler lucite chair or Tabor dining chair, fill in at the sides for a fun, eclectic mix. Is your dining room ready for some spring action? Leave us your comments below! Beautiful Designs of Rustic Dining table. wow Wonderful Designs, Thank you so much sharing this.